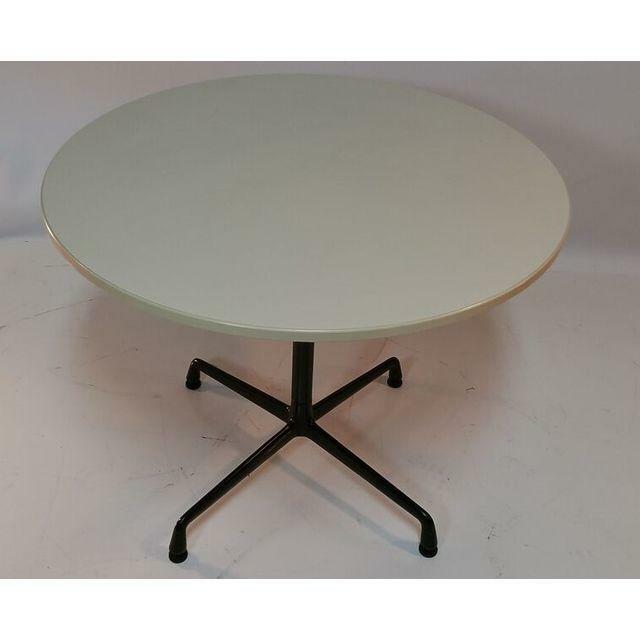 Clean Herman Miller cafe table with 36" diameter—perfect for a breakfast nook or corner table. Black steel base with beige formica top & plastic skirt. This model has been in production for many years. This table is probably about 20 years old & has seen only light use.